Fulham will not change how they play now they are in the Premier League, according to captain Tom Cairney. Slavisa Jokanovic's side won promotion back to the top flight after beating Aston Villa 1-0 in last season's Championship play-off final at Wembley. However, despite losing their opening two league games of the new campaign, the west London club will not abandon their attacking nature, says the Scot. 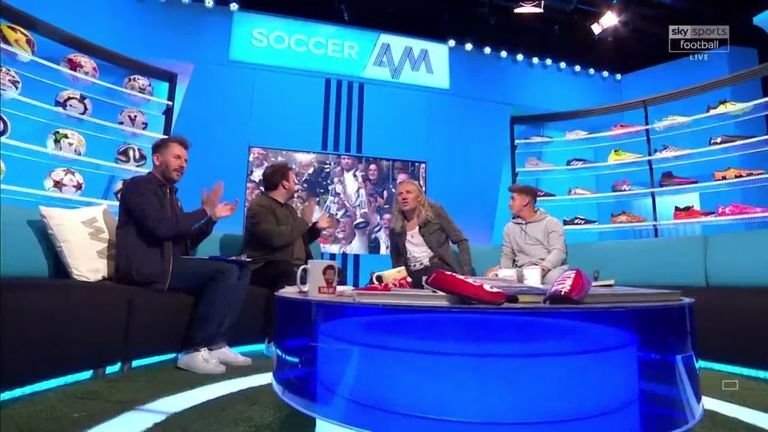 "We are not naïve, but at home we will try to keep our fundamentals and try and play that way," Cairney - who is suspended from his side's game at champions Man City on Saturday - told Soccer AM. "Today (Saturday) we are obviously at the Etihad so we will not have that much possession against Man City, so we will have to try and change our game. "But he [Jokanovic] will make sure that when we have possession, we try to play and work them. And he believes we can hurt them, as hard as that will be and not many can do that. But he will try to play football. "That is what we worked so hard for last season, for days like today." What are the biggest differences that Cairney has found though between playing in the Premier League and the Championship? "From the first few games I have played, it is pace and power and the counterattacks as well," said the Scotland international.